The Akula-class Russian submarine, expected to arrive in 2025, will be named Chakra III after its predecessors, and will be fitted with Indian systems. New Delhi: India and Russia Thursday signed a US$3 billion deal for the lease of a third nuclear-powered attack submarine (SSN) — Chakra III — which is likely to be in Indian waters by 2025 at the earliest. Defence sources said the mega deal was inked in the national capital, and will make way for the Akula-class submarine to be refurbished and fitted with indigenous communication systems and sensors. While the exact lease period of the new submarine is not known, sources indicated that it will be in service with India for at least 10 years. With this deal, Russia has once again become the most strategic defence partner for India. Thursday’s deal follows a series of mega orders that New Delhi has signed with Moscow in the recent past, including the one for the S-400 Triumf air defence system, and the joint manufacturing of AK-203 rifles in India. Russian submarines are being leased to train crews for India’s own fleet of ballistic missile firing submarines (SSBNs). India’s first indigenously built SSBN, the INS Arihant, entered service in 2016. A second, the INS Arighat, was launched in 2017, and is expected to enter service soon. Two more SSBNs are under construction at the Shipbuilding Centre in Visakhapatnam. The Akula submarines are considered among the best nuclear vessels in the world in terms of stealth and attack capabilities. The submarine that will become Chakra III was mothballed and shipped to the port town of Severodvinsk in 2014, and sources said Russia will need to do extensive work to make it fit for operation again, including re-activation of the nuclear reactor that powers it and the installation and integration of Indian systems. In that sense, it will be just like a new vessel. Sources said negotiations are also on to extend the lease of Chakra II, which ends next year. Since the new submarine is only likely to arrive by 2025 at the earliest, both sides are looking to extend the Chakra II lease for at least five more years, sources said. Chakra II was inducted in 2012. 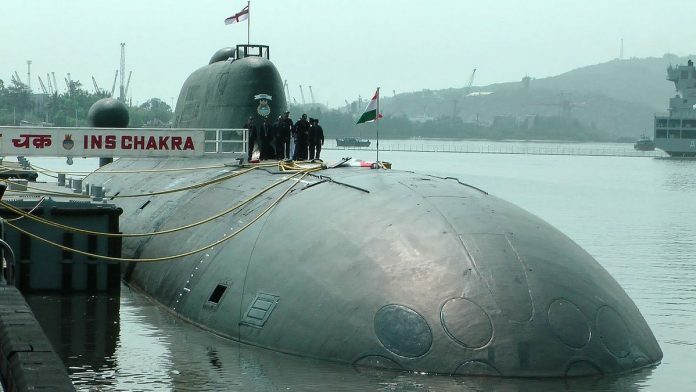 The original INS Chakra initially came to India on a three-year lease starting in 1988.